First, there was the Titan. Then, came the Titan Black. This April, it will be the Titan Z’s turn. What is Titan Z, you asked? Well, it is NVIDIA’s most powerful graphics card to date. A monster, if you may. In general, the newly announced NVIDIA GeForce GTX Titan Z is made of two fully-enabled GK110 Kepler GPU which equivalent to 5,760 CUDA cores. Not enough with that, it also carries 12GB worth of memory. The actual clock speed of Titan Z was not revealed on stage during the unveiling last night but NVIDIA did mention that both of Titan Z’s GPUs run at the same clock speed and the card is also equipped with dynamic power balancing. 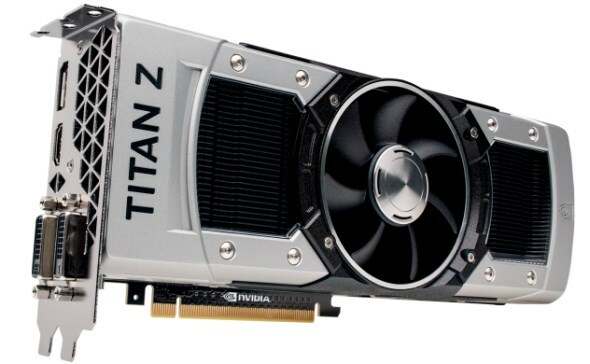 All in all, NVIDIA claimed that the Titan Z is able to provide 8 TFLOPS of computing power. Just like many products out there, great power usually comes with steep price tag. Coming this April, the new NVIDIA GeForce GTX Titan Z will be priced at around USD 2,999 which puts it at RM 9,906 in our currency. I expect that price tag will change once it reached Malaysia though and honestly, I’m not surprised if it goes into the region of RM 10,000.